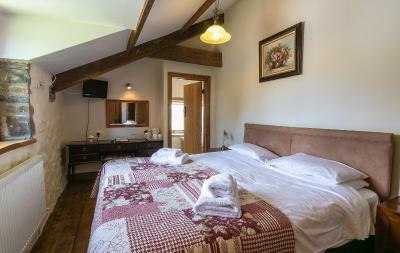 Lock in a great price for The Barn B&B – rated 9.4 by recent guests! 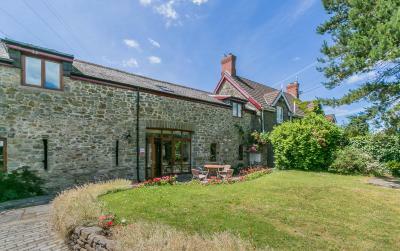 Wonderful Bnb and holiday cottages conveniently located between Carmarthen and Cardiff. Wonderfully comfortable, clean and a great breakfast. Room had nice decor. Good WiFi speed. Plenty of electrical outlets. Good sound isolation even though near a busy road. Nice garden area. Flannels provided after request. Good breakfast. Excellent value for the price. Convenient parking entrance. Friendly people, comfortable room, good breakfast. The room was spacious, equipped with a kettle, wardrobe, desk and an armchair. 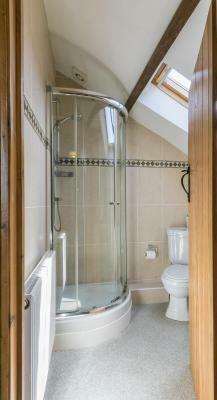 The bathroom was also roomy with a small window, a full bathtub and a long shower hose with a removable showerhead. We appreciated the host's recommendation to go to a pub/restaurant nearby for local keg beer. 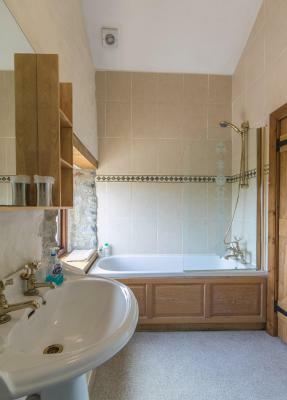 The barn itself is modern in terms of new build but the fixtures and fittings are in keeping with a traditional barn which makes it stunning to look at. The location is good and there is a nice Indian restaurant a few minutes drive away. Barbara and Phil are extremely friendly and made me feel very welcome. A very clean, relaxing and enjoyable stay. An amazing full welsh breakfast too with fresh free range eggs! Clean, quiet location. Easy access. Friendly patron. 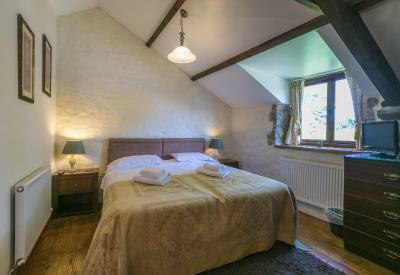 A beautiful property, the beds are so comfortable, there were 2 couples traveling together staying in two separate rooms and both were lovely, we all said we slept so well as the beds were great. 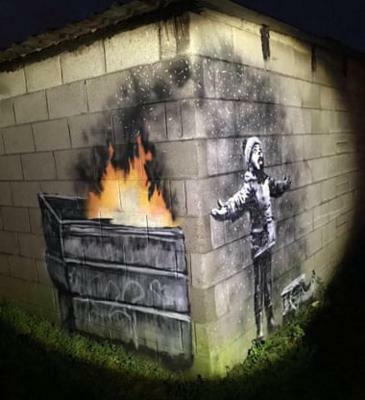 Lovely and warm too. The couple that run this place are such nice people and can’t do enough for you. The owners were kind and helpful. The room was clean and tidy The bed was awesome, so comfortable The bathroom was large with an excellent shower Breakfast was great, plenty of choice and served hot. 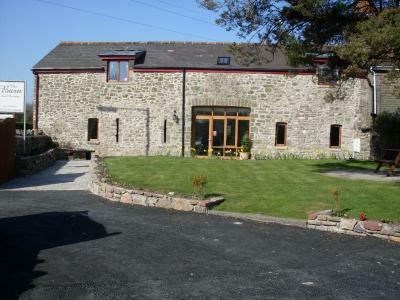 The Barn B&B This rating is a reflection of how the property compares to the industry standard when it comes to price, facilities and services available. It's based on a self-evaluation by the property. Use this rating to help choose your stay! Breakfast is served in the dining room from 8:00 to 9:30 but guests can have breakfast outside these times with prior arrangement. It is made with locally sourced or home-made Welsh produce. 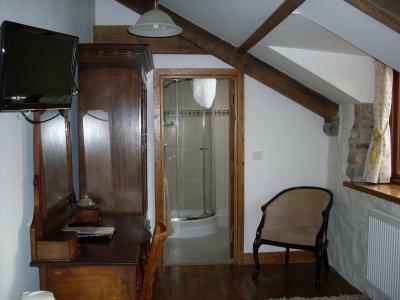 Each room has private bathrooms with a hairdryer and free toiletries. They are individually decorated and features include tea/coffee making facilities and a flat-screen TV. Ironing facilities are available on request. 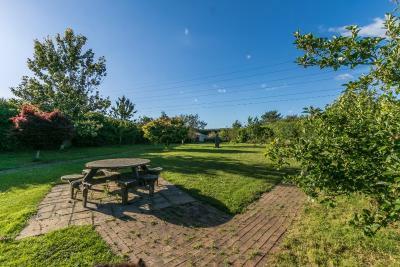 Guests can enjoy a patio seating area with a picnic bench and there is secure storage of bikes and golf clubs. There are even a purpose-built bike wash and a drying room. Rest bay and its surfing beach in Porthcawl is 10 minutes away, while Cardiff and the millennium Stadium is 25 minutes from the property and Swansea 15 Minutes away. There is free parking at the property. 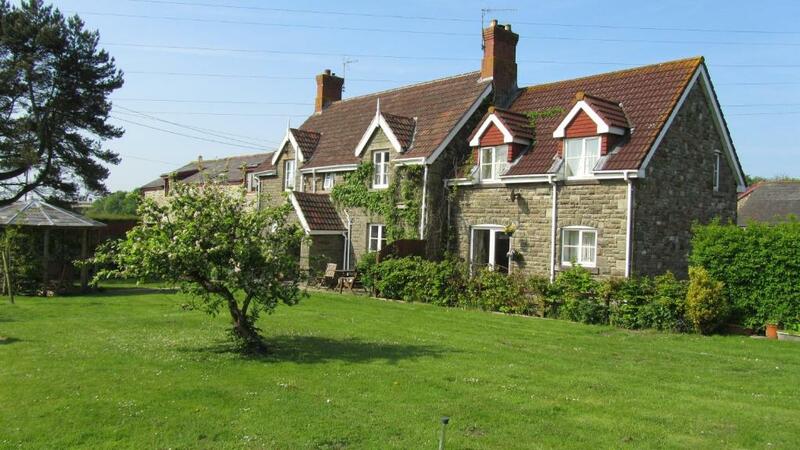 This property also has one of the top-rated locations in Margam! Guests are happier about it compared to other properties in the area. 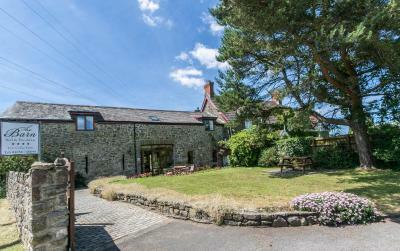 When would you like to stay at The Barn B&B? 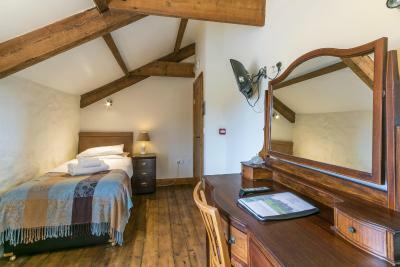 This room is located on the ground floor and has an en suite shower room and 3 east-facing windows which catch the morning sun and overlook the court yard to the front of the farm. All rooms are equipped with HD Freeview TV, hairdryer and tea/coffee making facilities. Free Wi-Fi is also available in this room. 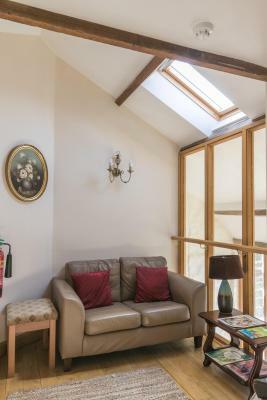 This spacious room is located on the first floor and has a beamed ceiling, an en suite shower room, HD Freeview TV, hairdryer and tea/coffee making facilities. Free Wi-Fi is also available in this room. 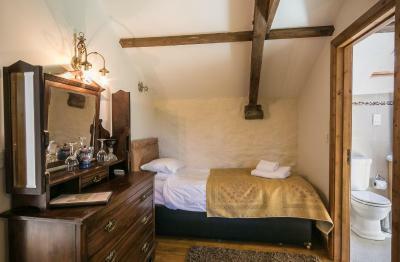 This room overlooks the old Tyn Cellar Farm. 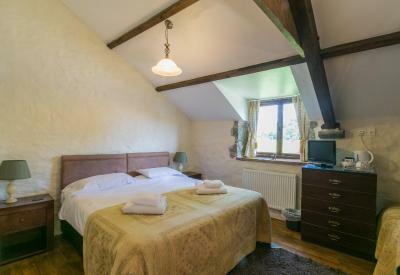 Located on the ground floor, this room has a king-size bed, an private bathroom with bath and overhead shower, period furniture, HD Freeview TV, hairdryer and tea/coffee making facilities. Free Wi-Fi is also available in this room. 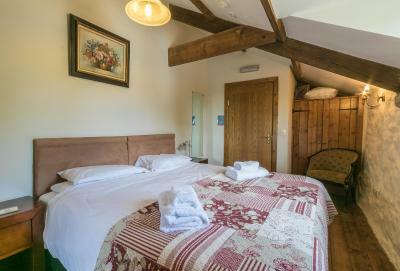 This light and airy room overlooks the gardan and patio, For disabled users there is a separate parking space at the west side of the Barn with easy access if required. Other facilities include HD Freeview TV, hairdryer and tea/coffee making facilities. Free Wi-Fi is also available in this room. 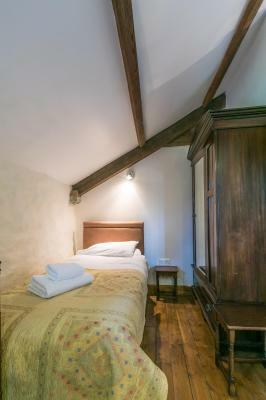 Located on the first floor, it has a super king zip-and-link bed that can be split down to make it a twin room. 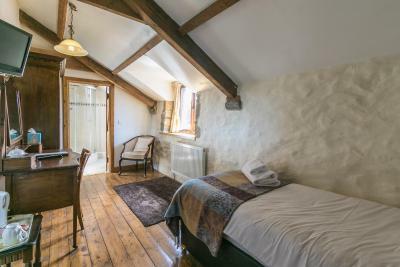 Features include beams, an private bathroom with a bath with an overhead shower, HD Freeview TV, hairdryer and tea/coffee making facilities. Free Wi-Fi is also available in this room. This room faces East so catches the morning sun with views over looking the patio, gardens and Margam mountain. A spacious, 2-room family suite located on the first floor and featuring a separate sitting area attached to the bedroom. The view from this room overlooks the gardens and Margam mountain - it also catches the morning sun. The Superking bed in this room is a zip and link bed that can be split, so the room can have 4 single beds. House Rules The Barn B&B takes special requests – add in the next step! Debit card The Barn B&amp;B accepts these cards and reserves the right to temporarily hold an amount prior to arrival. The Barn B&B accepts these cards and reserves the right to temporarily hold an amount prior to arrival. Lovely room, comfy bed and great breakfast. Comfortable; conveniently located; good value and friendly reception. 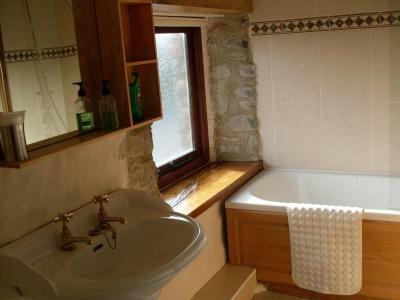 Traditional style, nicely furnished property. Rooms were very clean and the beds were comfortable. Excellent breakfast provided. Good position. The Barn exceeded our expectations, and was quite possibly the cleanest place I’ve ever stayed! Nothing was too much trouble, and the breakfast was delicious. Would highly recommend if staying in the area. 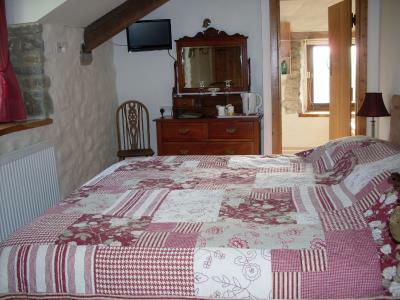 The room was excellent and had everything from A-Z, the food excellent as was the proprietors of the accommodation. Loved every minute including all their lovely animals. Lucky enough to see the chickens too! Can't wait to get back there and hopefully it will be in the summer with more family & friends, we might even take over the whole premises because we liked it so much. So near to everything plus pubs for lunches, Outlet for shopping, it has literally ticked all our boxes, so thank you! Fabulous place and staff. Very convenient location for where I needed to be.